Item description: Report of a naval engagement in Norfolk, Virginia. 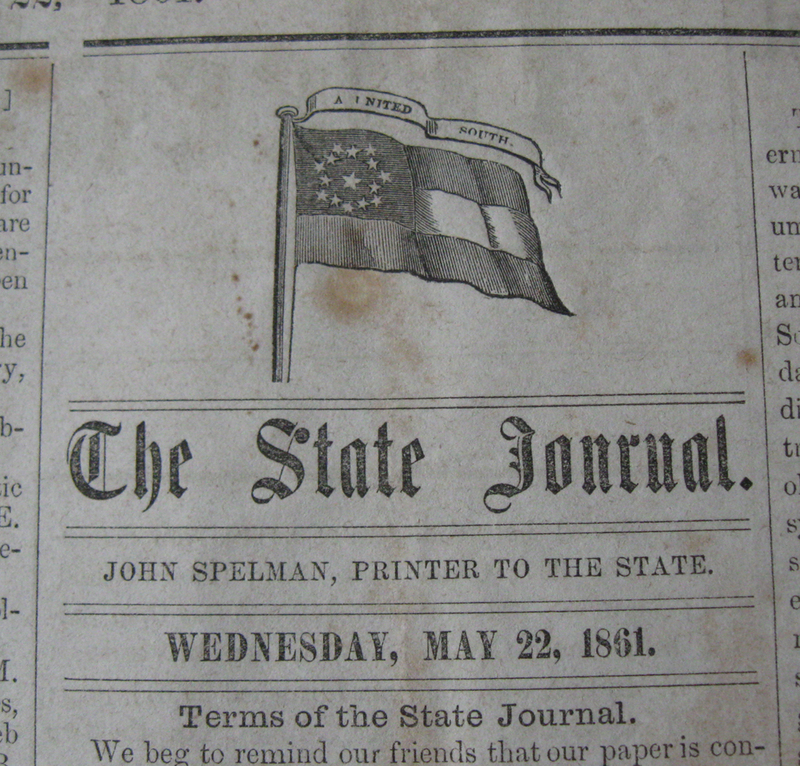 Item citation: “The Fight Commenced,” Weekly State Journal. 22 May 1861. Raleigh, N.C.: John Spelman. C071 S97j. North Carolina Collection, Wilson Library, University of North Carolina at Chapel Hill. 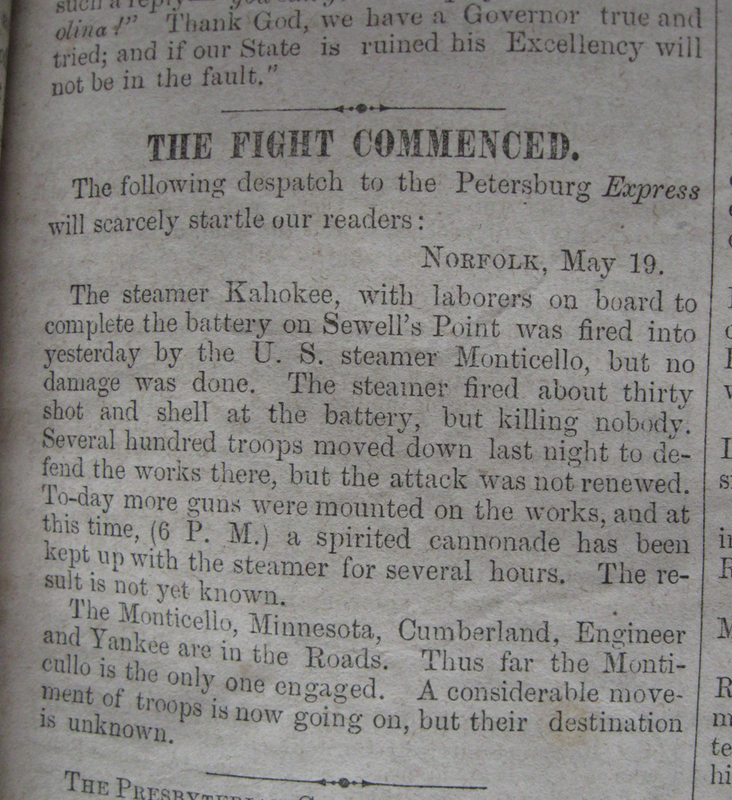 This entry was posted in North Carolina Collection and tagged battle, bombardment, Hampton Roads, Kahokee, naval, newspapers, Norfolk, Petersburg Express, steamers, USS Monticello, Weekly State Journal. Bookmark the permalink.